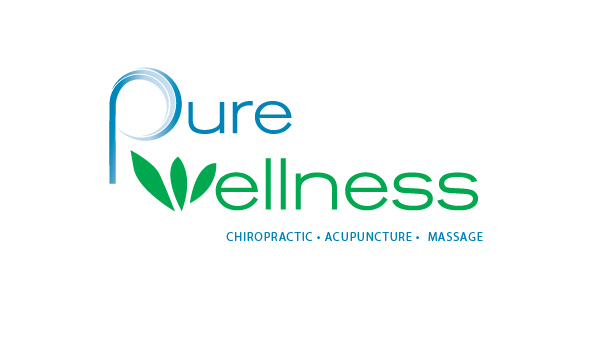 Not only is Pure Wellness Chiropractic one of the finest chiropractic clinics in the region, we pride ourselves in being a complete wellness center for injury rehabilitation and improving your health and strengthening your body to reduce the risk of re-injury. That's why so many of our patients travel from Pennsylvania, New Jersey and Maryland in the surrounding region to attend our facilities here in Delaware. We have 4 offices: Newark, Middletown, Wilmington & Smyrna. Most people would rather be healthy and avoid illness if they could. Unlike conventional medicine, which focuses on attempting to treat disease once it occurs, emphasizes improving your health and wellness in the first place, so you can reduce your risk of pain, injury and illness before it has a chance to occur. One of the negative side effects of our relatively sedentary and stressful modern lives is weak back muscles and stiff spinal joints, subjecting us to risk of injury from any unusual lifting or twisting motion. Pure Wellness Chiropractic can evaluate your muscle strength and range of motion and recommend treatments to help you regain and maintain your body's normal strength and mobility so that you don't have to suffer lower back or neck pain, missed work, and all that goes with it. Are You Getting the Most Benefit from Exercise? If you supplement your daily activity with regular exercise, it's important to make sure you're getting the full benefit. A tight spinal column can restrict the expansion of your rib cage which limits the full functioning of your heart and lungs during exercise. At Pure Wellness, we can optimize the mobility of your spinal joints, muscles and ligaments to restore the freedom of your rib cage to expand fully so that you can get the full benefit of your cardio workout. People are Recognizing the Benefit of Seeking an Alternative to Traditional Medicine. Range of motion evaluation and optimizing spinal mobility are just two examples of what we mean by taking a wellness approach to your health - we offer much more, including massage therapy, nutrition and homeopathic remedies for a truly holistic approach to your health. Whether you're seeking a rediscovery of previous health and wellness or embarking on a new journey, you'll feel the difference - which is why our wellness center is so popular. Seeking alternative medicine is a great way to take an active role in your health, rather than reacting to illness. Why not join us? Dr. Marks is an avid sports fan who enjoys participating in a variety of sports. His favorite activity is spending time with his family. Outside of the practice, Dr. Decker enjoys spending time with his wife and three sons. He is also an avid sports fan dedicated to his Philly teams. During his 8+ years serving the MOT area he was active as both sponsor and participant in local softball and bowling leagues. He also has stayed active in the community through membership in the Rotary club and as a volunteer with the Meals-on-Wheels program. A native to Christiana, Delaware, Dr. Ward received a Bachelor of Arts in General Sciences with an emphasis in Chemistry from Lincoln University and then went on to obtain not only his Doctorate in Chiropractic from Life University in Marietta, Georgia in 1999 but also received an Acupuncture certification in 2005. While obtaining his doctorate and treating patients is his foundation, Dr. Ward continues his education unlike most, by completing over 40 seminars during his tenure to date that range from but are not limited to, Graston Technique, Kinesio Taping, Foot Leveler Orthotic Training, and most recent Selective Functional Motion Assessment. His unique ability to make complex situations enticing, has led him to annually take these seminars so that he may only not improve the care that he gives to his patients by keeping up with what is current, but to also continue to feed the side of himself that is eager to learn. Dr. Ward’s passion has always lied with being able to assist others. It is not something that he does but is genuinely who he is. His approach is unique and the relationships that are grown with anyone who walks into his practice come naturally. His sense of humor will always lighten the room, his smile is infectious, and his personality sanguine and enthusiastic, but when it comes to someone’s care, is very direct and encouraging. He has committed his life to promoting optimal health and well-being of patients. A “whole person approach” to wellness is taken at his office in Wilmington, Delaware which means that Dr. Ward, as well as the patient, look for underlying causes of any disturbance or disruption which may or may not be causing symptoms at the time, identifying that cause, intervening, and making lifestyle adjustments that would optimize conditions for normal function and a higher quality of life. Using this unique approach, Dr. Ward has been able to assist his community accelerate or even maintain your journey to good health. Dr. Ward’s influence has not only excelled in his private practice but has also expanded to being the DMA Cross Country Team Chiropractor, Brandywine Warriors Football Team Chiropractor, being on the board for Wilmington Headstart and his drive has allowed him to begin the AIM Well Program in conjunction with the Children’s Exercise and Nutrition Program. He serves as a mentor to many of the youth in the area and also grants individuals an opportunity to complete internships to expose them to opportunities that may not be afforded to many. When not in the office, Dr. Ward enjoys spending time with his family, playing with his dogs Remi and Luna, and enjoys his sports. Dr. Giambertone specializes in a whole-body approach to healthcare. An athlete himself, he understands the importance and psyche of getting back to action as soon as possible, from the professional, to the weekend warrior, to the couch potato. He has over 11 years of experience as a professional health and lifestyle coach with powerful weight loss and optimal health systems. Outside of the office, Dr. Giambertone enjoys spending time with his wife, experiencing the great outdoors, is a self-proclaimed sports addict and loves all things nutrition including cooking delicious healthy meals.